Instant Phasers old (top) and new (above)! Eventide's rackmount Instant Phaser was launched in 1972 with the aim of recreating tape flanging — which, as I recall, we used to call tape phasing back in the day. Electronic phasing didn't have the necessary delay time to produce a true tape flanging effect, but it got close and soon became an effect in its own right. 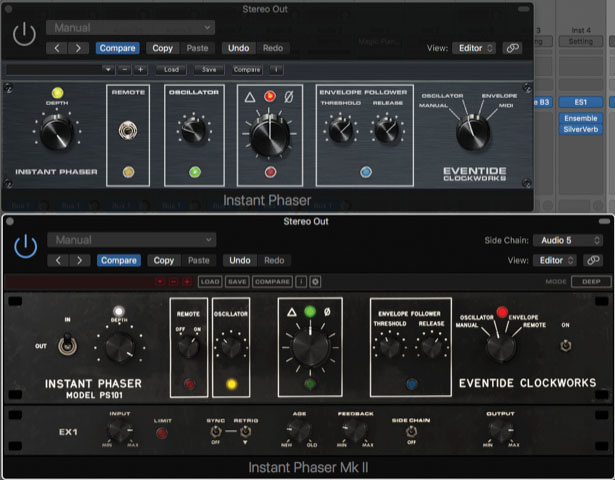 Eventide have long offered a plug-in version of that original hardware, and now they've revisited it to add both new capabilities and the ability to 'age' the circuity by introducing modelled component value drift. They've also made the behaviour of the emulation more faithful to the original hardware. 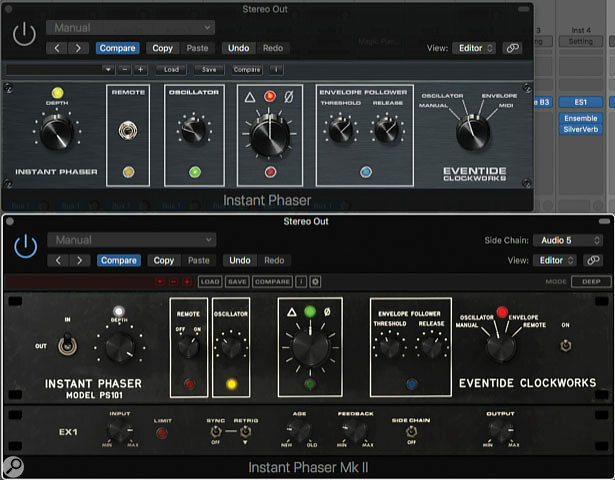 If you already own Eventide's Anthology bundle, you get the new Instant Phaser MkII free of charge.